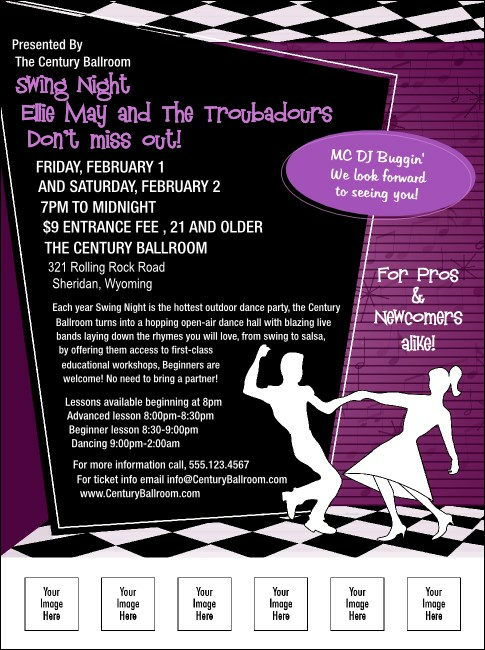 Slip on your dancing shoes and prepare to get busy! For a swing dance, big band event, or any kind of nostalgic party, the 50's Swing Dance Flyer helps everyone find the music. This Flyer template features a pair of dancers cutting loose on a checkered floor and space to upload six of your own images. Turn up the heat with hot designs from TicketPrinting.com.